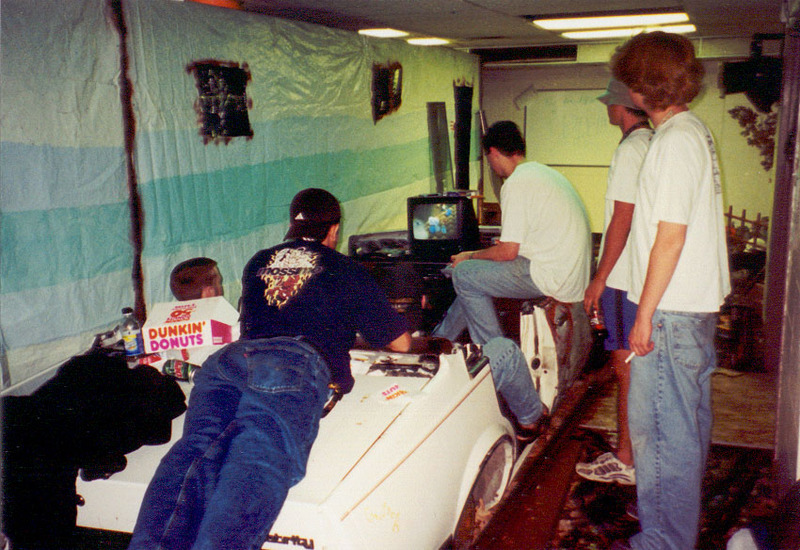 This is a picture of some friends of mine playing N-64 in a gutted car we used for our Haunted House in the dorm. Unless you are one of them or Chad, you probably don't know any of them so I'll spare you their names. That's a lie. Daniel, Tim, Wil, Chad, Richard and Matt.